David (Dave) Roy Bennett started out as an apprentice tool and die maker at BorgWarner. He became a talented machinist and moved from the shop floor in Hertfordshire into a sales role in Manchester. He was offered a directorship but instead chose to set up his own engineering firm in Chester’s Newry Park, and that’s how, in 1976, DRB Power and Transmissions was born. For eight years, Dave spent the mornings and evenings in the workshop machining the orders that he brought in during the afternoon. His first customers are still with us to this day. 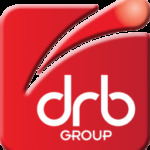 With Dave’s force-of-nature attitude and dedication to his customers, DRB quickly expanded. With that came 20 employees and a move to Bumper’s Lane in Chester. In 1984, we became one of the first companies to call Deeside Industrial Park our home and remain here to this day. We’ve grown to a 6.5-acre site. Matt Bennett, Dave’s son, was the company secretary from 2008, becoming more involved in the day-to-day running of the business as Vice Chairman and then Chairman, until he took over as CEO in 2015. Hugh Haimes joined as Financial Director in 2014.